Jay Baumgardner is an award winning Los Angeles Music Producer and mixer who has been involved in the music industry for over two decades, and is the founder of NRG Studios. Jay Baumgardner is an award winning Producer and Mix Engineer who has been working within the music industry for well over two decades.His noteable credits are on albums such as Bush, P.O.D., Papa Roach, Alien Ant Farm, Hoobastank, Evanescence and so many more. His focus is on rock music and Jay has a unique talent of creating “the hit single” with his clients. 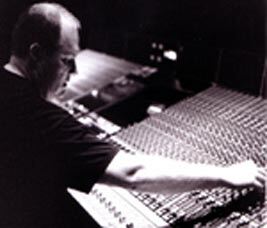 Jay also created and built the famous NRG Recording Studios in N Hollywood, CA about 20 years ago. Having built a name for himself with his amazing roster of friends and clients, NRG has held on strong through the years and has grown through adaptations in the music business. Jay has put his time and effort into every aspect of the studios, because he simply wouldn’t have it any other way, and has had a stellar Chief Engineer at the helm building and maintaining a strong and sustainable building of rooms to record and mix in. Now NRG boasts top notch equipment and backup systems like no other. Jay and his staff have kept NRG cutting edge and on the map. The rooms were built as only someone of Jay’s experience level and expertise could design them-from a producer and mixers point of view. Thus, NRG has become a leading destination for music production los angeles, as well as a great facility that he is able to bring all of his own projects to an amazing level within. If you’re looking for a Los Angeles Music Producer and mixer who can provide you with unparalleled service, an attention to detail that is second to none, and a finished product that you are proud to attach your name to, then Jay Baumgardner is the one to turn to. Booking inquiries for Jay can be addressed to Rene Mata at AAM at rene@aaminc.com.